All of the shooting that we do is regulated by the Grand National Archery Society Rules of Shooting. The foremost of these rules are those governing safety. Archery is a very safe sport because these rules are obeyed absolutely and without question. Never point a bow in any direction other than at the target and anywhere other than on the line where shooting is taking place, even without an arrow (if you’re looking from the front you can’t see that it isn’t loaded). If you hear someone call out “FAST” then stop shooting straight away, not after you’ve shot the arrow in your bow, because it means that there’s a very good reason why you shouldn’t shoot, even if you can’t see it. There will also be a Field Captain in charge of shooting and their audible commands by whistle or voice must be obeyed in the same way. Always be careful when walking to the target as you may tread on someone’s arrow and damage it or walk into it and damage yourself. If you hit an arrow in the target then you don’t have to pay for it, it happens. If you damage an arrow by treading on it it’s another matter. Always approach the target from the side and never stand in front of it when the arrows are being drawn. (The nock end of an arrow is much more dangerous than the point in this situation!). You will be guided to a (hopefully) consistent and comfortable style of shooting and at the same time enjoy what you are doing. No two people shoot in exactly the same way, although they may look alike. The basic technique taught should get you hitting the target most of the time. The extra refinements come later, when you have developed a little more control. 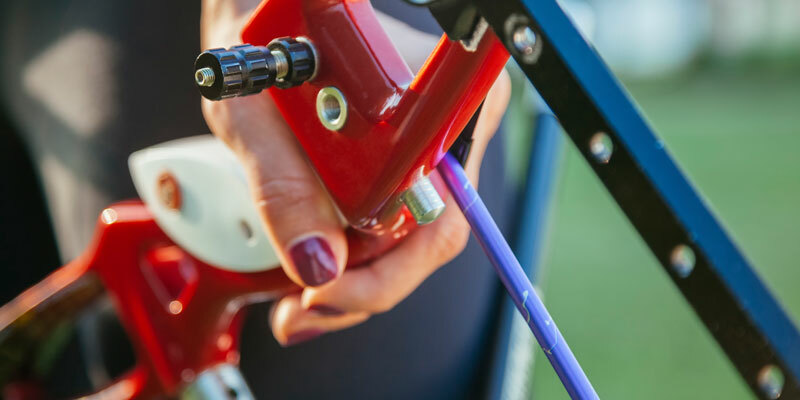 Generally, early in their archery career, people set themselves standards that might be difficult to achieve, wanting to hit the middle much more regularly than is reasonable to expect. There is no pressure on anyone to achieve a particular standard or score in archery although there is a great deal of competition between parents and children or brothers and sisters so the pressure is from inside the archer and not from outside. If you do wish later on to achieve higher levels of skill then we will help in any way we can. 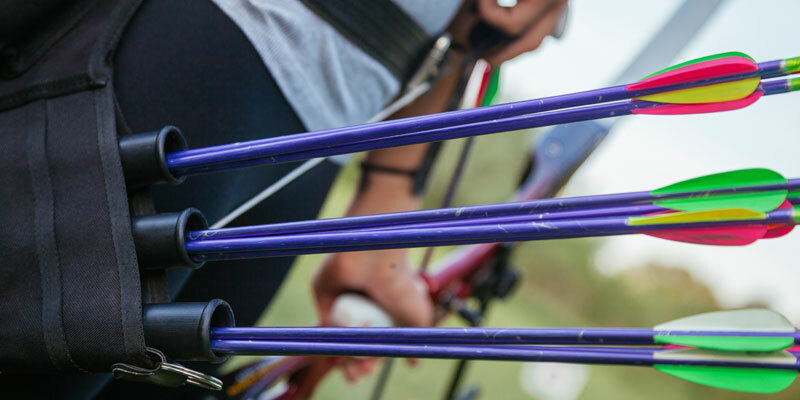 You will be introduced to the various aspects of shooting, scoring, equipment and traditions of Archery and our Club. It is not necessary for anyone to rush out and buy anything, as all equipment necessary is supplied for a small fee of £1.00 on each occasion that you shoot. Also each time you shoot, indoors or outdoors, there is a target fee of £1.50. This means the cost of shooting outdoors is £2-50 if hiring our equipment and £1-50 if providing your own equipment and this applies to both Juniors and Adults. However, if you shoot indoors, there is an additional fee of £1.50 as the barn is hired separately from our outdoor shooting ground. 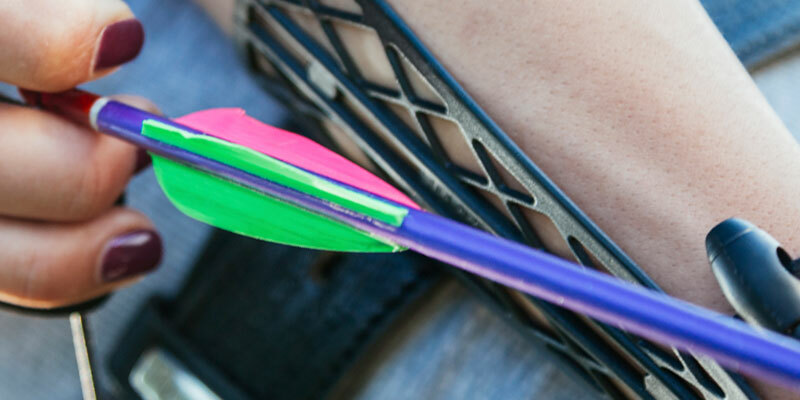 When you do decide to buy any Archery equipment there will be guidance for you about what to get and where to get it. People alter a lot during the early stages of shooting and what feels right at the beginning may be totally wrong a comparatively short time after. Your draw length will be carefully measured as this governs the length of bow you will need. We will still add an inch or so to this as there may still be changes in length for a little while. When you’ve settled down to a consistent draw any extra arrow can be trimmed off. Costs vary widely but a set of equipment with everything you really need can be between £100 and £150 from a proper archery dealer. Please avoid, if you can, buying anything from a multiple sports dealer as the equipment range is generally very limited. Talk to us first. The benefits of buying from a good dealer are various. There will be a bigger range of specialised items and the dealer shouldn’t sell you anything totally unsuitable for you. What’s more, if you find (in a reasonable time) that what you’ve bought isn’t quite right for you then they will generally exchange it and with a new bow you get a guarantee. You can also buy second hand from a dealer at a much reduced cost when people part-exchange and although the guarantee may have expired you still have some protection. You might also buy equipment from other archers. This can also save quite a lot of money but we recommend great care before buying. You get no guarantee and while people may not intentionally sell you anything faulty there may be problems of which they are unaware.